If you love green smoothies, then you won’t want to miss out on these delicious green smoothie recipes! When it comes to having breakfast or a snack during the day, smoothies are always my go to. They are so simple, yummy, and easy to make. I think they make an excellent family snack as well because then I’m not busy all day in the kitchen. It’s a very simple snack option that I could see myself making every single day. The great part about smoothies is that they are packed full of veggies and fruits that are great nutrients for the body as well! Perfect for adults or kids, you won’t want to miss out on these delicious recipes! Check out a month of smoothies: 31 Green Smoothie recipe options! Have you ever tried a combination like Vanilla Mint Green Smoothie? 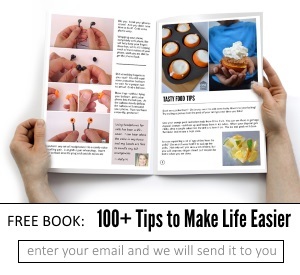 It’s totally worth checking out! When it comes to wanting something that tastes fresh and smooth, the Monster Orange Smoothies is where it’s at. My kids totally love the Extra- Thick Mint Chip Superfood Smoothie. This is also a personal favorite of mine. Looking for something delicious to try? Put this Tropical Green Smoothie on your list. I am not going to lie, prior to this, I never thought about putting honeydew melon in a smoothie, but this Sweet Honeydew Mint Smoothie seems like it would hit the spot. A Green Apple Cucumber Smoothie sounds like an excellent smoothie recipe for spring and summer. I can’t wait to make this one. I cannot imagine not trying this Apple Kale Green Smoothie. I’m sure the taste of apple and kale together is fabulous. I cannot help but get excited about this Healthy Tropical Green Smoothie. Wouldn’t you love to try this one? In my opinion, this Banana Blueberry Gooseberry Green Smoothie almost sounds like a dessert. I would eat this one every day of the week. I have always loved the taste of pineapple and I think this Pineapple Paradise Spinach Smoothie is on the top of my smoothie making list. When it comes to smoothies, doesn’t this Pineapple Avocado Green Smoothie sound amazing? Wow, this 100 Calorie Pumpkin Pie Smoothie is going on my list of must make smoothies as well. 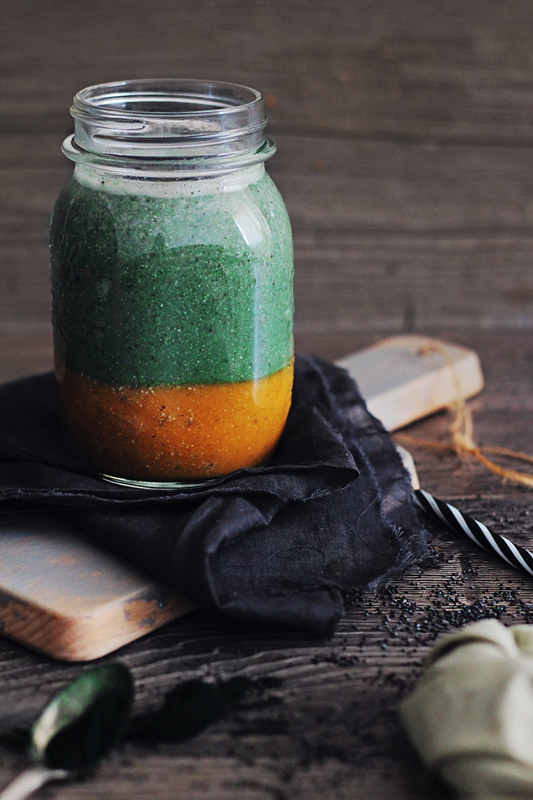 Make your life super yummy with this Orange Pineapple Green Smoothie. I don’t think you’ll ever regret making this one. If you love the flavors of orange and pineapple, you won’t want to miss out on this Orange Pineapple Green Smoothie Recipe! I have never tried Spirulina in my smoothie, but it’s worth a shot. Even more green smoothie recipes to try! I have always been a huge fan of peach and I bet adding the kale to this smoothie makes it even more awesome! This is a smoothie for myself and the kids. The name of it just sounds way cool! I love these smoothies for myself and the kids. I didn’t know there were so many different smoothie options on the Internet. Hey, I could always use more antioxidants, so this smoothie is a MUST MAKE too! Just imagine sipping on this Pineapple Banana Layered Green Smoothie for breakfast, my mouth is watering! When it comes to making sure I have my fruits and veggies, this Superfood Power Smoothie is my go to. If you can have a tropical smoothie in your life, go with this smoothie recipe. Doesn’t this post workout green smoothie sound amazing? Now, do I have to workout to enjoy it? 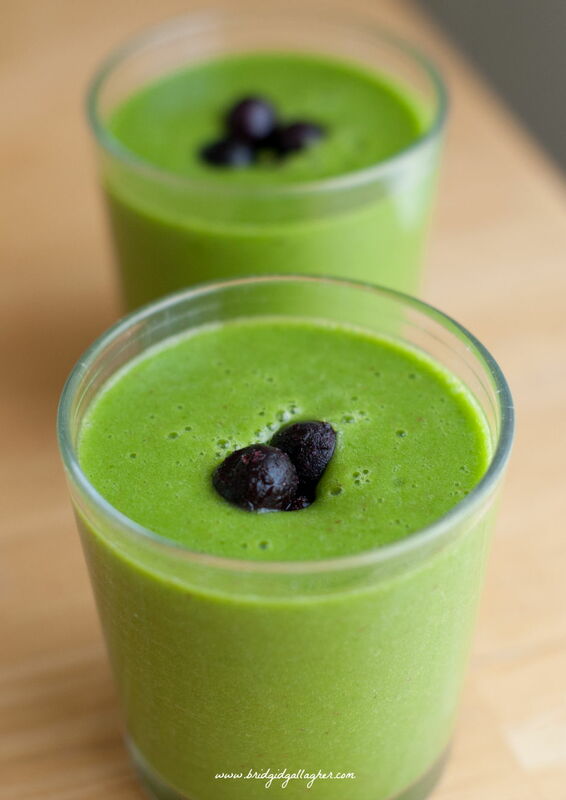 This Kale Sunrise Green Smoothie is the perfect way to start the day! 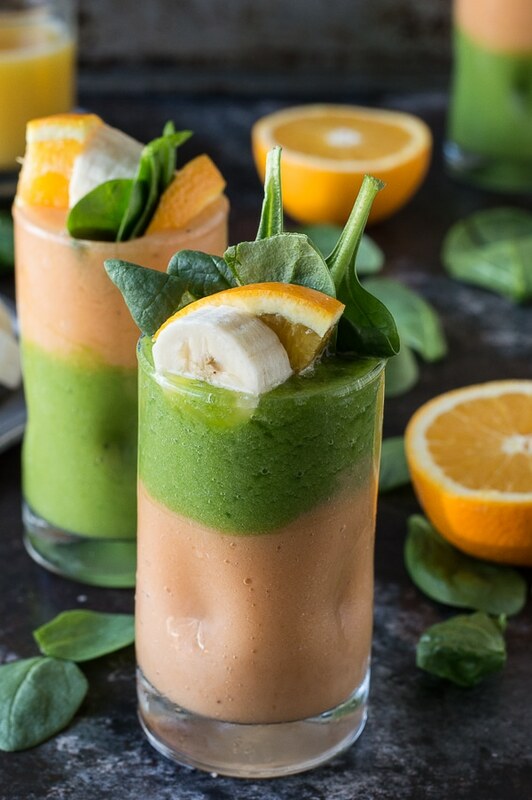 I have always been a fan of orange smoothies, and this Spinach Orange Smoothie just blows me away. Another awesome choice when it comes to making smoothies every day of the month. Looking for an easy smoothie option as a beginner smoothie maker? Give this one a try! This Tropical Green Smoothie is so yummy, it’s addictive! I simply love this Green Apple Ginger Smoothie option. You should give it a try. You won’t believe the flavor of this Green Apple Cucumber Smoothie! I can’t believe all of these wonderful options in the smoothie world. You can get all of your fruits and veggies in without sacrificing flavor. Who knew that there were so many green smoothies out there to try? Now, which one are you going to try first? Let me know which one you loved and why in the comment section.